​I have heard a choral group perform." I have ever heard by an amateur choir." 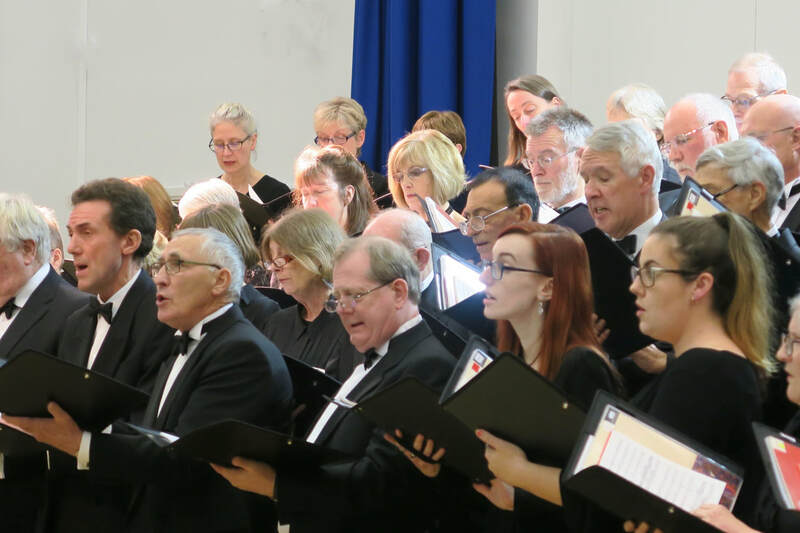 We are a thriving, friendly and enthusiastic society; we always welcome new members. 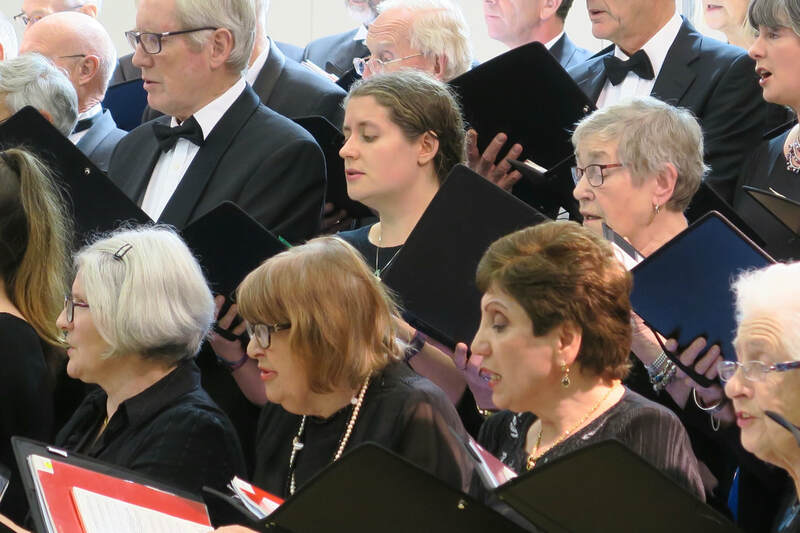 Eleanor Stevens, (Soprano) has sung for HRH Prince of Wales and has also personally raised some £40,000 in concerts over the last 4 years for MacMillan Cancer Relief. 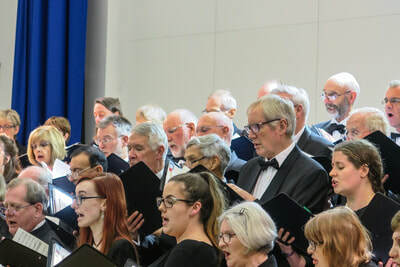 2018 saw us work together with a variety of musical ensembles from the Aylesbury Vale, including Aylesbury Opera and the RAF Halton Voluntary Band. Rehearsals started again on January 8th, so that 2019 will see Aylesbury Choral Society and Aylesbury Sinfonia perform one of Mozart's greatest works at St Mary's Church on 30th March: The Mass in C Minor. This will be accompanied with one of the comparatively few masses that Haydn wrote before he reached the age of fifty: the Missa Sancti Nicolae. The Tsunami Requiem is an intense, haunting and moving piece of music, inspired by the devastating tsunami, which struck Asia in 2004. The Requiem was first performed in its original arrangement at Royal Festival Hall in 2008, when it received a standing ovation. This new arrangement is for a wind band and this was our first opportunity to work with the RAF Halton Voluntary Band. The concert featured a very different piece of music for the Christmas period written by Respighi called Laud To The Nativity, which tells the shepherds’ story. There were also instrumental pieces and carols. 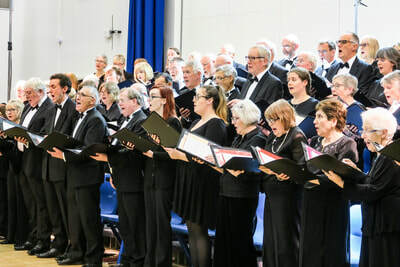 This was the last in our 2018 series of concerts designed specifically to feature partnerships with local music groups and musicians, following our last highly successful event in June with Aylesbury Opera Group, when the choir performed famous opera pieces, supported by world class soloists. Our soloists at the December concert included the well known tenor, Adrian Thompson and the superb soprano soloist Victoria Joyce. Mozart - Mass in C Minor. ​In June 2012, we produced a CD of rare 18th century music to mark our 80th anniversary. Click on the button below to learn more and listen to us. If you would like a copy, please use the contact form to obtain further information. Cost £5 (plus £1.50 postage & packing). Please use this form to contact us and we will try to get back to you as soon as possible.